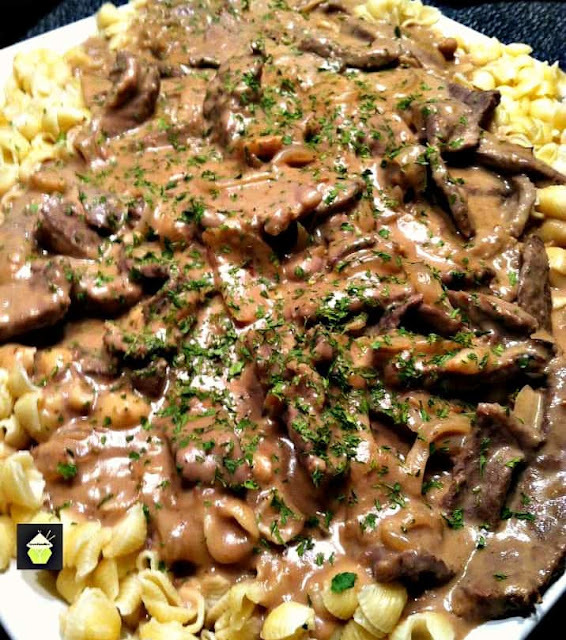 Beef Stroganoff is always a family favourite! It's quick, easy and flexible so you could use chicken or pork if you preferred. The sauce is a lovely rich, creamy mouthful of deliciousness and this meal goes wonderfully with rice or pasta. 2 lbs / 1 Kg Sirloin or Fillet Steak. *** you can also use pork or chicken if you prefer. 1 Handful of mushrooms, sliced. 1/2 glass of your favourite white wine. 1/2 cup / 120 ml heavy cream, or milk if you are counting calories! Slice the beef into thin strips, across the grain. In a bowl, add the beef, season a little with salt & pepper & the balsamic vinegar, mix it all well, then add the cornstarch and dredge the beef slices. Then add 2 Tablespoons of cold water and mix it all together with your fingers. It's easier! In a drop of olive oil, lightly fry onion (cut it in slices not chopped) on a low heat until translucent, then add the garlic and sliced mushrooms. Cook until softened, then turn the heat up high and add the beef. Stir it all well so it browns evenly. This should take only a minute or so. Cook until the beef is sealed, but not cooked completely. Empty contents of pan with a slotted spoon, keep the juices in there and then add butter. When the butter has melted, add flour and cook, stirring constantly, until flour turns light brown, for about 2 minutes and it's all combined. Slowly stir in broth and add the white wine. Add brown sugar and bring to a gentle boil. 0 Response to "BEEF STROGANOFF"